So you’ve decided to take the plunge and build your next home. You’ll have plenty of decisions to make – which fittings and fixtures to use, which colour to paint the house and which home loan to choose. 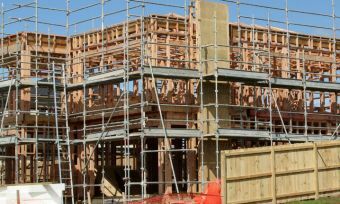 There isn’t a shortage of choices when it comes to construction loans in New Zealand. With so many loans to choose from, it’s worth knowing how they work and what to look for when making your decision. A construction home loan is a loan designed for people who are building a home, as opposed to buying an established property. It has a different loan structure to other loans designed for people buying an existing home. A construction loan most commonly has a progressive drawn down. That is, you draw down the loan (or increase your borrowing) as needed to pay for the construction progress payments. The amount available to borrow will be partly based on the value of the property upon completion of the construction. A construction loan will usually be interest only over the first 12 months and then revert to a standard principal and interest loan. How do progress payments work? Once a construction loan has been approved and the construction of the property is underway, lenders will make progress payments throughout the stages of construction. (1) Slab down or base: This is an amount to help you lay the foundation of your property. It covers the levelling of the ground, as well as the plumbing and waterproofing of your foundation. (2) Frame stage: This is an amount to help you build the frame of your property. It covers partial brickwork, the roofing, trusses, and windows. (3) Lockup: This is an amount to help you put up the external walls, and put in windows and doors (hence the term ‘lockup’, to make sure your house is lockable). (4) Fitout or fixing: This is an amount to help you complete the internal fittings and fixtures of your property. It covers plasterboards, part-installation of cupboards and benches, plumbing, electricity, and gutters. (5) Completion: This is an amount for the conclusion of contracted items (e.g. builders, equipment), as well as any finishing touches such as plumbing, electricity, and overall cleaning. As the loan is being progressively drawn down, interest and repayments are calculated based only on the funds used so far. For example, if by the third progressive payment, only $150,000 has been drawn down on a $300,000 loan, interest would only be charged on $150,000. It is also important to note that most banks require you to use all of your equity before they release the next payment. 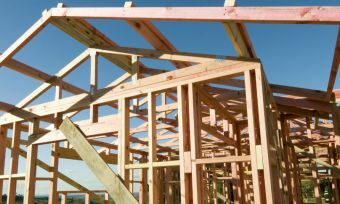 Can you use a ‘standard’ home loan instead of a construction loan? If you have enough equity in a loan on the block of land itself, or in other assets such as investment properties, then you could redraw the funds for your construction loan, whether progressively or all at once. Yes – provided you have sufficient equity in an existing standard home loan to be able to borrow the amount that you need without using your to-be-constructed house as security. The advantage of redrawing from an existing loan is that you are able to pay construction costs as and when they are due, including smaller incidental costs along the way. This is a particular advantage for owner-builders or those who are DIYing some portion of the construction. A potential disadvantage is that by fully drawing the home loan from day one, you are also paying interest on the loan from day one. This could be mitigated by placing any not-yet-spent construction money in a 100% offset account against your loan. While the rates on construction loans might be slightly higher at first, you can refinance the loan into a permanent mortgage once construction is completed, which can come at a lower rate if you shop around. Building a home is not without its headaches – financial and otherwise. There are pros and cons to both building a home and buying an existing home. Getting the right loan structure in place may help to smooth the process. Getting approved for a construction loan is a different process to applying for a standard home loan on an existing home. The first thing you’ll need to do to ensure a smooth application process is to present the lender with professional plans for your property. A property appraiser will then review these plans to determine the expected value of the property when completed. This is because when you apply for a construction loan, the lender considers the expected value of the property upon completion of construction as well as the total amount required to borrow in order to pay the builder. Once the plans have been reviewed, the lender will then ask you to approve a loan offer for the property. You will then have to make a deposit, as you would with most other types of home loans. This acts as a security at this stage of construction, and a larger deposit will convince your lender of your trustworthiness. For each stage of the construction process, you will need to confirm that the work has been done, complete and sign a drawdown request form, and send it to the construction department of your lender. Owner builder mortgage is a specific type of construction loan designed for people who intend to build the house themselves without the help of a professional builder. Lenders are hesitant to accept applications for these loans, as they use the property as security against your mortgage. If you’re building this property yourself, they will consider you to be a higher risk. Lenders who do give owner builder mortgages will usually limit the loan to value ratio at 60%, meaning the borrower will need to pay a deposit of at least 40%.